Here it is– midnight MST. I’ve survived twelve+ hours in the ER on a Friday night, full moon (it must be! ), holiday weekend. For those of you familiar with emergency departments you know I listed those out because it meant we got our tushes kicked a little bit. Not enough staff. Too many sick kids. And. There. Is. No. Post. But then, something stops me from shirking my responsibility. I start thinking I really should step in and write something– substitute for the person who was supposed to post. And I really don’t want to right at this moment in time. My warm bed is sweetly calling my name. However, the thought of substitution comes to the forefront. Now, I’m not one to clearly hear God’s calling. I would possibly dare say I’m tone-deaf. I’ve prayed for God’s Will to be left as a gold note card on my pillow for me in the morning. For me, God’s voice is more like a subtle whisper in a hurricane that I have a hard time tuning in. What I have learned though is sometimes these instances (like no blog post) are orchestrated by God to create opportunities for other things, and I’m wondering if this forgotten post was left open for me to write to bring the thought of subbing for someone else to mind. This is what Easter means to me. Christ as substitution. 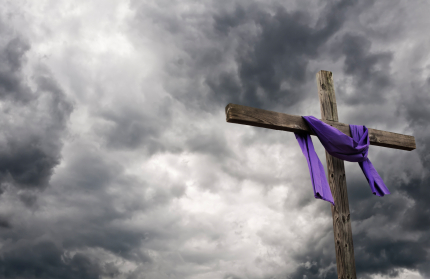 His death as a covering for my sin so that if I believe in what He did as He hung on a cross, nails through his hands and feet, a crown of thorns on his head– one of the most painful deaths a human can suffer– I can have the glory of heaven. This entry was posted in Encouragement, Writing and tagged Easter, Jordyn Redwood, Substitution by Jordyn Redwood. Bookmark the permalink. No coincidences. Only divine appointments! What a debt we owe that we can never repay! I don’t want to live my life trying to “pay him back” for what he did, but I do want to live every moment with a keen awareness of his sacrifice and my purpose. Thank you for stepping in and for reminding us of Someone else who did as well! Jordyn, I have no doubt God set you up to write this post. Praise Jesus He substituted Himself for our sin-stained condition. Thank you for not tuning God out, and reminding us why we write. 1) Because He called us. 2) Because He equipped us. 3) Because a dying world needs to know He offers redemption. Sometimes, we begin to think this journey is about us, when it’s always about a Savior who wants the world to see the empty tomb flooded with His marvelous light. What a privilege to illuminate His grace with other writers like yourself. So true–the whispering voice in the hurricane, the hammering at the ER, the forgetting. Substitution. We’re entirely lost without it. God sent in the star player to cover for us. A grace and mercy for the tone-deaf, which we all are. Well put. A sovereign God coordinated and gave you a strong message. Hope your sleep was peaceful. Easter is Life! My life eternal, Christ’s life resurrected, and hope forever of life without end. Thanks for making your readers stop to think about it. What a beautiful discovery you made. Happy Easter. Beautiful! And thank you for reminding us to listen to His voice in the storm. He is there, holding out His hand! Hallelujah! He is Risen! Our Redeemer Lives! Amen and amen. He lives and I live only because of Him. Hossana. Wow! Great one. And you call yourself tone-deaf? I understand that though. I often ask for guidance and ask, “please, don’t tie it to a brick this time.” Cause, unfortunately, that used to be the only way I got the message. Trying to quiet the hurricane so He doesn’t need to do that now. God is good! He’s done so much and I can never be grateful enough. Thanks for this post. Connie: I too have had several bricks to the head so I know how that feels! May we both be better able to discern HIS voice through the noise to avoid major head injuries. Nice post, Jordyn. We can all celebrate the substitution. I hope you have a restful Easter with family. Thanks everyone for your comments. It was a blessing for me to be able to share these words but they are the Lord’s so listen if there is something He is saying to you. Was there a little nudge, just maybe? I am thankful for your substitution and for reminding me of His through it! Have a glorious day. Beautiful, Jordyn. And what a reminder to us. I’ve felt God’s strongly on a few occasions, but more often that not, it’s that gentle whisper that I have to pay attention to if I want to hear Him. I’m so glad you listened to Him and wrote this post. Amen! Greetings Anonymous. In your comments, I heard a memory of some of my own words. I left my faith and became an atheist for many long years because I needed answers, just simple answers to basic questions. When I didn’t get them, I started believing there weren’t answers in the Christian faith. It took a long time for me to discover the empty hands of atheist answers as well. All I can say to you is. . .keep you intelligence engaged. There actually are really good answers to those intelligent questions. God can handle all the scrutiny you want to bring. And keep your mind and heart open. You may find that your common sense leads you back to God, not farther away. God bless you dear anonymous. Keep searching and you will find Him.